Sterling Silver Wedding Necklace : LOVE2HAVE in the UK! A sterling silver wedding necklace. 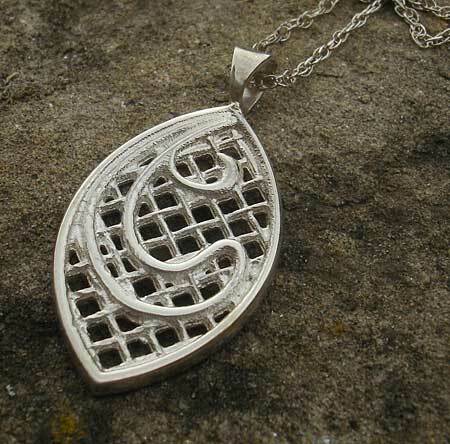 This piece is a ladies silver pendant in the form of an oval. 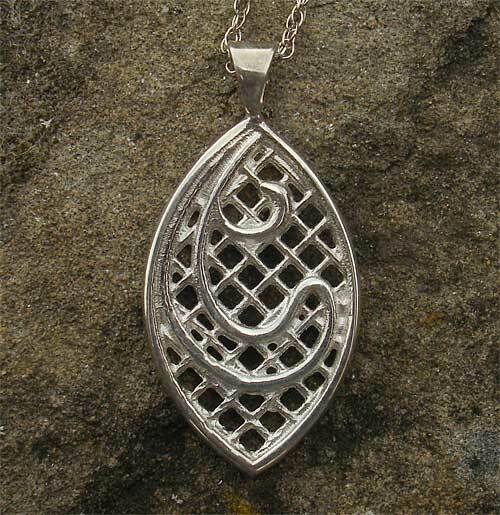 The pendant consists of a beautiful criss-cross lace patterning which is made up of solid sterling silver. The design we think is suitable for wedding jewellery with its intricate line work and stylish curvy detail. It also features a tapered eyelet in which a 16-inch silver chain is threaded. The pendant measures approximately 30mm in height and matching earrings are available too. Please email us for further details.